Compare to Ultradent: Opalescence Boost PF Patient Kit. 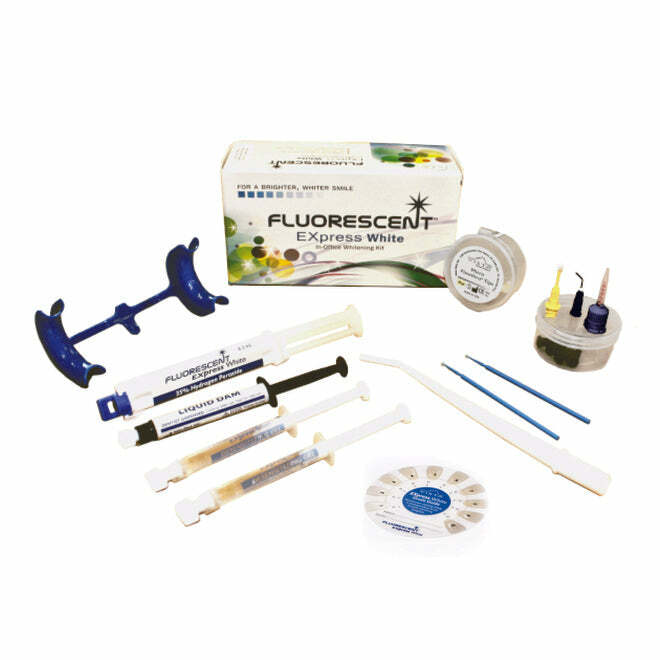 Fluorescent™ EXpress White is formulated for FAST whitening in just one office visit. With 35% hydrogen peroxide, EXpress White removes tough stains and discolorations and is recommended for whitening teeth prior to placement of veneers and crowns.